We take special care of quality parameters in all our products: in materials, animal welfare and workplace ergonomics, in compliance with regulations and in hygiene requirements. We are always at the forefront of advances in our industry, incorporating trends, technologies and all our creativity to provide satisfactory solutions. Creativity, technological innovation, versatility, teamwork and networking are the cornerstones of our approach to projects to provide customers with the solutions they need. © All rights reserved. 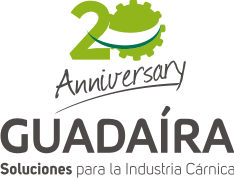 | Fabricaciones Mecánicas Guadaíra S.L. | Polígono Industrial Cuchipanda C/Cinco, n°7. 41500 Alcalá de Guadaíra. Sevilla. | T. 955 62 02 16.